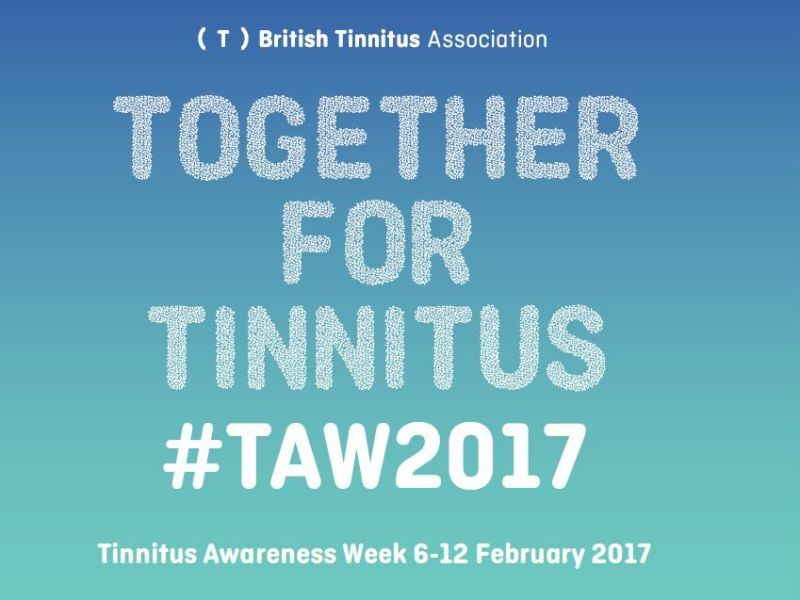 Tinnitus Awareness Week takes place on 6-12 February 2017, an annual event that aims to help the 10% of the UK population affected by tinnitus. To spread the word and make life easier for anyone dealing with this often frustrating condition, here’s our comprehensive guide to the symptoms, causes and treatments available. Anyone who’s experienced tinnitus (a word derived from the Latin for ‘ringing’) will know the tell-tale ringing, buzzing, roaring or clicking noises, all with no external source. Tinnitus symptoms can come and go, but those with more persistent symptoms can experience sleep problems and stress. Subjective tinnitus – the most common variety, where only the person who has tinnitus hears it. Objective tinnitus – the ears amplify sounds within the body, such as blood flow. A stethoscope placed near the ear would allow a doctor to also hear these sounds. Loud noises: regular contact with loud noises can damage the tiny hair cells in the cochlea. Unsurprisingly, a number of famous rockstars suffer with tinnitus, including Chris Martin, Phil Collins, and Pete Townshend. Other hearing conditions: those with hearing loss are more susceptible, as they can no longer pick up the everyday sounds that would otherwise mask tinnitus. In fact two-thirds of people with tinnitus also have hearing loss. Your brain: your brain can fail to control your reactions to different sounds – why this happens is still being determined. Other medical conditions: tinnitus can be brought on by stress, certain medications, ear infections, injuries, neurological disorders, metabolic disorders (such as diabetes) and diseases like Ménière’s. There are simple steps you can take to look after your ears and prevent conditions like tinnitus. Wearing ear plugs at loud events and when swimming in cold water can help to maintain ear health. Specialist ear plugs like the ACS Ear Protection range, including ACS Ear Plugs and ACS Custom Ear Plugs, all do an incredible job of protecting your ears from loud noises. If you regularly use headphones you should consider some snug-fitting, custom moulded in-ear monitors, like ACS In-Ear Monitors. Widely used by musicians and music lovers, in-ear monitors deliver incredible sound quality while also reducing ambient noise levels by as much as 26 decibels. This means you can keep the volume to a safe level without compromising the clarity of the music. All custom-fit in-ear monitors require an accurate moulding of your ears, which can be taken by one of Leightons’ hearing aid audiologists. Contact your local Leightons to make an appointment and discover the comfort and audiophile-quality sound of ACS’s bespoke headphones. Your tinnitus could be caused by earwax build-up. At Leightons we offer an expert [wax removal service])https://leightons.co.uk/hearing-care/wax-removal/) to help relieve your tinnitus symptoms painlessly. Many hearing aids now include a tinnitus feature to help you with tinnitus relief. Choose from a range of sounds stored on the hearing aid, such as bird song, music or chimes. Some hearing aids like ReSound LiNX2 or Starkey Halo 2, even allow you to control and personalise your tinnitus relief via a smartphone app. Cognitive Behavioural Therapy (CBT) – tinnitus can sometimes be stressful, but CBT will help you take control and keep the negative feelings at bay. Eventually the noises will become less noticeable. Sound Enrichment Therapy – using repetitive natural sounds such as waves, wind and rain can help mask tinnitus sounds. Hearing aids can also help with this type of therapy too (as mentioned above). Tinnitus Retraining Therapy – a combination of CBT and sound therapy, teaching you to concentrate on relaxing sounds and to manage the relationship you have with your tinnitus. Whether you need a diagnosis, want to find out more about ACS Custom Ear Plugs or our range of hearing aids, we offer friendly help and advice on how to manage your tinnitus. Book an appointment online, call us on 0800 40 20 20 or visit your nearest branch.